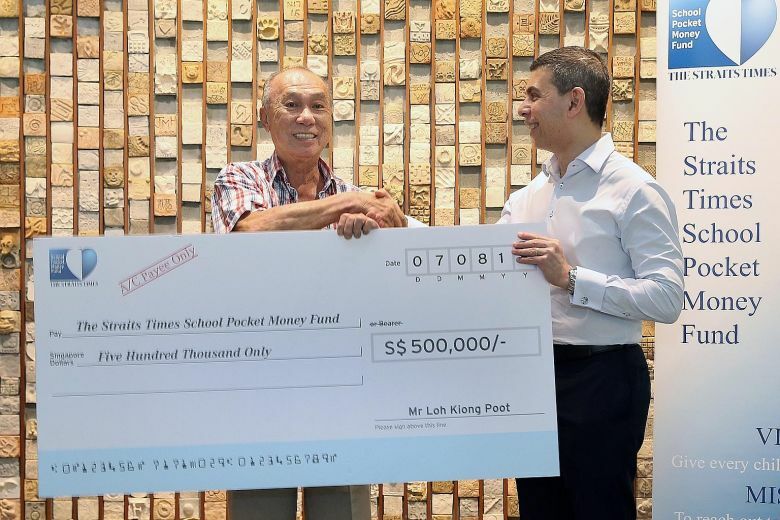 Retired businessman Mr Loh Kiong Poot donated $500,000 to the ST pocket money fund. "I am a simple man and I live comfortably with my wife - that is enough. I can't bury my money with me, so why not give it to charity?" 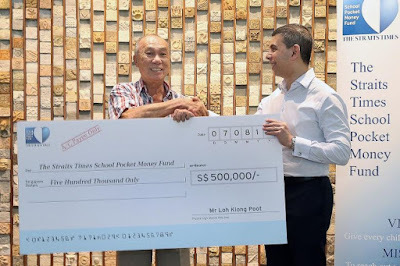 Mr Loh's contribution to STSPMF is his biggest donation yet, though he has given money to charities and orphanages in countries such as Thailand and Vietnam.